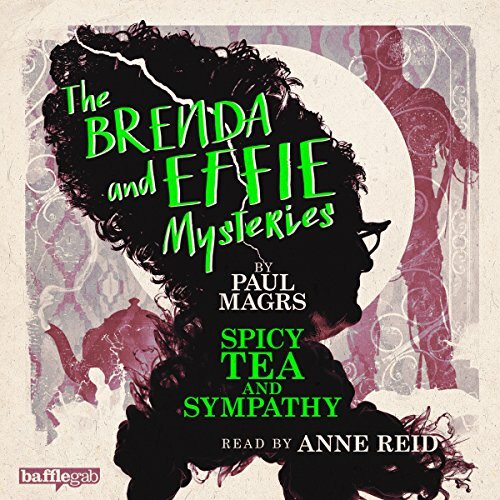 Anne Reid (Last Tango in Halifax<) stars in episode three of the award-winning Brenda and Effie Mysteries by Paul Magrs (Doctor Who). Brenda and Effie are drawn to a new tearoom in the park. It is owned by the dashing Professor Marius Keys, who has stuffed the place with Egyptian antiquities of all kinds. But why does his odd-tasting tea send both women a bit woozy? And why's he got actual bandaged revenants hiding in his room at the Hotel Miramar? It's all enough to give Brenda shocking flashbacks to 1930s Oxford, when she was housemaid to a certain Professor Reginald Tyler, and, together with Henry Cleavis, they fought forces of darkness and diabolism as the Smudgelings, an undercover monster-fighting team. Back then they uncovered a scheme to do with exotic tea leaves, vital life essences, and a dessicated princess from ancient times. Love these stories, i cant get enough of the adventures of these two mysterious ladies, really hope more come out soon, with the wonderful Anne Reid reading them!